Should I Spend Donuts on the Farming License? It’s Harvest time in Springfield! And nothing says you’re a successful farmer than a farming license, right? Now I know many of you are trying to decide if this license is worth YOUR donuts, but don’t sweat it! We’re here to help you decide what’s worth the donuts and what you might want to hold off on. Wondering if the Monsarno Farming License is right for you? 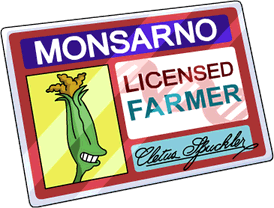 Well before you hit that confirm button let’s break down the pros and cons of becoming a card carrying member of the Monsarno Farmers club in YOUR Springfield!